Point of No Return: Jewish Refugees from Arab and Muslim Countries: On Shoah Memorial day, Mizrahim remember too. On Shoah Memorial day, Mizrahim remember too. 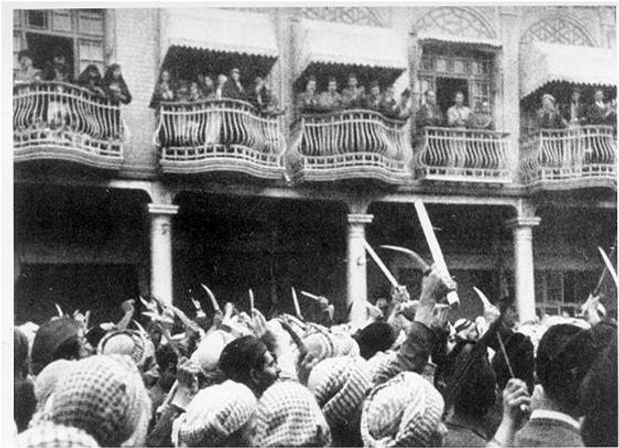 The 1941 Farhud in Iraq is now recognised as a Holocaust-related event, fuelled by Nazi propaganda. At least 179 Jews were killed. 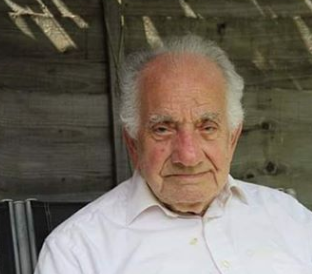 Sephardi Voices UK has released these extracts from transcripts of interviews with Iraqi and Libyan Jews for Holocaust Memorial Day. The Farhud marked the turning point in the history of the Jews in Iraq and marked the start of the Jewish exodus from the country. A recurrent theme throughout accounts of the Farhud is the ‘friendly neighbour’ who protected a Jewish family from the mob. Those Jewish families who lived in mixed, often slightly wealthier, neighbourhoods were more likely to have been protected. “At that time, in 1938, there were four classes in Secondary School. They were only different in the second foreign language and most of the Jews went to the French and most of the Muslims liked German. There were almost no Jews in the German class. The boys, the Muslim boys, also went to the German Club. They got two hundred and fifty pence a month to write against Jews in the Club. They may be with my, my friend hand in hand and they write anti-Jewish things. The boys were paid two hundred and fifty pence a month and the teachers had payments according to their salaries. Two hundred and fifty at that time was enough for cigarettes, cinema and to eat many times in a restaurant. Because a meal in a restaurant was twelve pence, you can eat kebab and laban [yoghurt] and tea, and all for twelve pence. The cinema was twenty-five pence, so two hundred and fifty pence was enough. It worked very well, but we didn’t have any anti-Jewish incidents between the students. In writing things changed but our relations were like brothers. ‘The Farhud was in 1941. I was a teacher at that time. When the British Army had a victory against the government, all the government ran away to Germany. The British army was supposed to cross the bridge to the main part of Baghdad on the 1st of June I think, which was a Jewish feast, Shavuot. The Jews at that time were celebrating, and some of them went to see the British army as it crossed the bridge, but the British army did not cross the bridge and of those who went to the bridge to see them, not one of them returned. So Baghdad remained without a government for forty-eight hours and during that time, some people who came from outside Baghdad came and attacked the poor area of the Jews. I was in my brother’s house during the feast and I had to go back home. My brother advised me not to go on the new street, but to go by the old streets. All those who went back from the new street were killed. They used to stop all the busses and see who is a Jew and they kill him. I and my relative went by foot on the old streets and we arrived home safely. Our family was in an area where these people did not arrive. They arrived very near but did not reach our house. “In the Farhud we were at home and some farmers were in the street and they came to our house, we were afraid to be at home. We had a neighbour, a doctor, a very well-known doctor. Actually, he was with the Germans, he liked the Germans, but as neighbours he accepted for us to stay with them. And he was a Nazi, but you know, we were neighbours for a long, long time and they knew us and everything about us, and so they accept us into their home. Believe me, I can see the lady, his wife, doing the beds for us herself. So he took a gun and he shot one shot in the air and the people got scared and they threw everything on the street and ran away! The mob of the Farhud. ‘Let everybody stay inside today’. We were still in our pyjamas, before breakfast, before anything. We followed her. They used to live, they used to live at the back of the property, in mud huts, mud houses. She took us to her hut, a small room, half the size of this room, mostly bedding. By the time we closed the back door the front door was broken down and the mob came in. We could hear bullets, we could hear screaming. We didn’t know what was happening. Our parents didn’t even know. They said to us not to speak, with their fingers on their mouth. We stayed there from seven o’clock in the morning ‘till half past five in the evening. No food, no water, hot. A friend of my father, who was in the army, he was a good friend and he was looking for my father. His name was Kassam. He knew about the pogrom and he was looking for my father. So, he came in this car, to look for us and what he found – the house was empty. Literally empty. Even the windows were taken out, the doors were taken out, the banisters were taken out, and there were only papers in the house, and our cat. We used to have a cat, she was meowing all the time, and there was no sign of life at all. Where did Jews from the Arab world go?